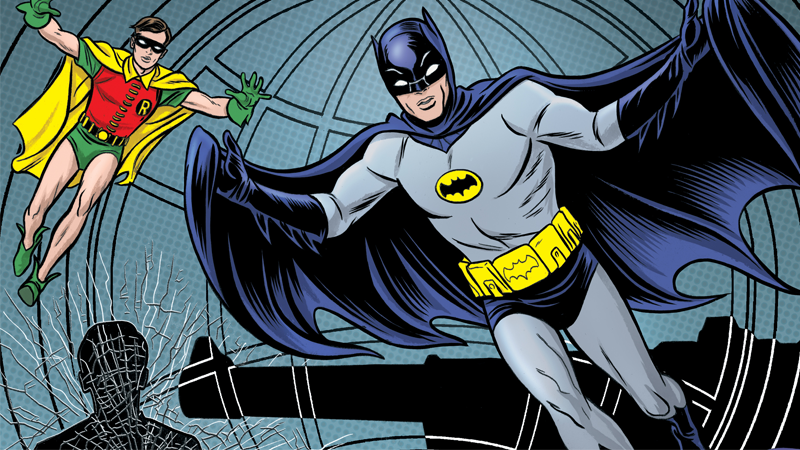 Although his ongoing digital series sadly came to a close late last year, the wonderfully campy Batman ‘66 comic got a brief revival this year with a crossover with the classic spy series The Man From UNCLE. Before it comes to an end this week, we’ve got a sneak peek at the final chapter. Written by Jeff Parker with art by David Hanh, this crossover has seen Batman team up with top secret agents Napoleon Solo and Illya Kuryakin on a mission to take down a sinister group known as THRUSH (because all good spy stories are about covert organizations with great acronyms for names) before they can take over the world. You can check out first few pages from the final chapter below. The final chapter of Batman ‘66 Meets The Man From UNCLE will be available for download this Wednesday via the DC Comics App, DC’s digital webstore, Comixology, and a variety of other digital comic retailers.